BRILLIANT GENERAL BUILDING CONSTRUCTION PTE LTD (Brilliant) started off with humble beginnings doing addition and alteration works. 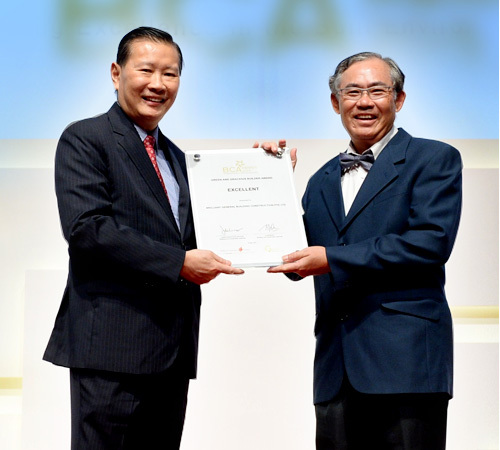 Founded by the Company’s current Managing Director, Mr. Ong Siew Keong, Brilliant was incorporated as a main contractor with BCA in 1978. Brilliant has grown into a grade A2 main contractor with the BCA and has proven itself to be one of the leading firms in the building and construction industry. Handling projects of various natures, the Company has since completed both public/ private projects including design and build. Public projects comprise PUB, JTC, Singapore Post, PSA, Mindef, Singapore Telecommunications, URA substations, etc. Private projects comprise Residential Housing (landed, apartments), Warehouses, Factories and A&A works. With extensive expertise in this industry, the Company was able to handle and complete numerous projects of varying difficulty. The list of past projects is a clear indication of Brilliant’s capability to bring about excellence in every project undertaken. Since the implementation of ISO in 1996, Brilliant has also constantly been providing clients with better service and quality workmanship.